What Channel is Destination America on DirecTV? →What Channel is Destination America on DirecTV? Are you searching for what channel Destination America is on DirecTV? You can find it on channel #286 on the DirecTV Channel Guide. You can also get Destination America in HD (High Definition). This channel is provided in the Direct TV packages like Choice Extra, Choice Ultimate and Premier. 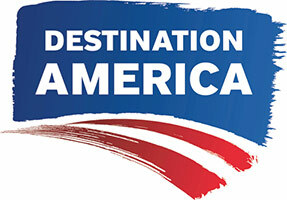 Destination America is a channel that focuses on the best that America has to offer. Stay up to date with amazing programming that focuses on the country’s rich history, food and destinations. If you are looking for new adventures and want to learn new things about this great nation, then you should definitely give it a try.